Visite a Barnes & Noble em Framingham no sábado para apoiar Green Meadow. Se você não puder vir no sábado, use o número do comprovante no seu pedido on-line! Válido até 27/04/2019. Visita Barnes & Noble en Framingham el sábado para apoyar a Green Meadow. ¡Si no puede venir el sábado, use el número de cupón en su pedido en línea! Válido hasta el 4/27/2019. 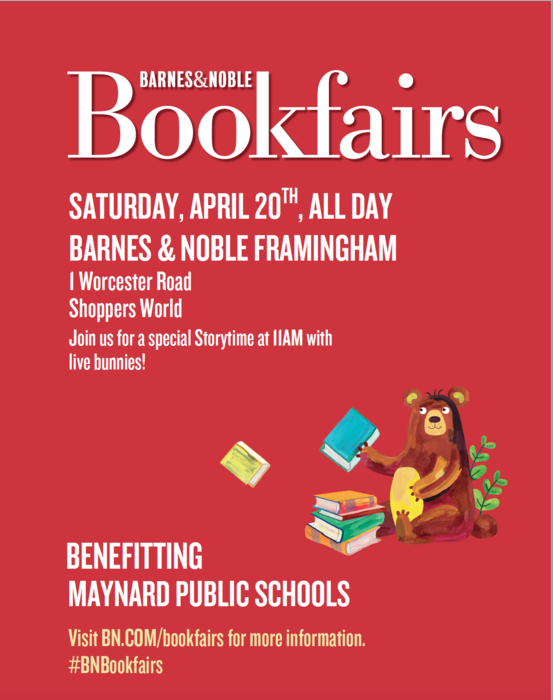 Visit Barnes & Noble in Framingham on Saturday to support Green Meadow. If you cannot come Saturday, use the voucher number in your online order! Valid until 4/27/2019. Venha apoiar Green Meadow School na Feira do Livro Barnes & Noble no sábado, 4/20/2019! Compre um livro ou item para doar para a Green Meadow ou use o voucher em sua própria compra e uma parte de sua compra vai para apoiar materiais de reposição para a Green Meadow! ¡Venga a apoyar a la Escuela Green Meadow en la Feria de Libros de Barnes & Noble el sábado 4/20/2019! ¡Compre un libro o artículo para donar a Green Meadow o use el cupón en su propia compra y una parte de su compra se destina a materiales de reemplazo para Green Meadow! 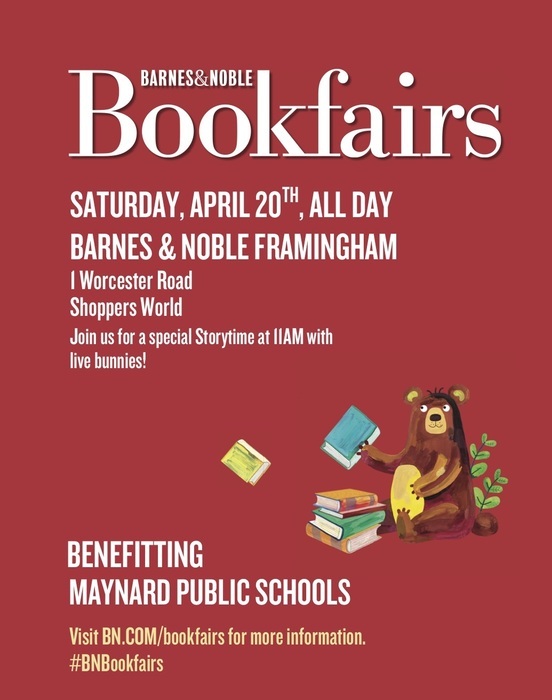 Come support Green Meadow School at the Barnes & Noble Book Fair on Saturday, 4/20/2019! Purchase a book or item to donate to Green Meadow or use the voucher on your own purchase and a portion of your purchase goes to support replacement materials for Green Meadow! 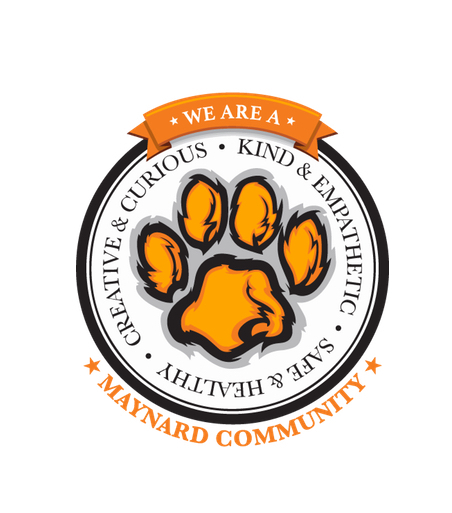 The Maynard School Committee Meeting originally scheduled for Thursday 3/14 at 7:00 pm has been moved to Wednesday 3/13 at 7:00 pm due to a conflict with the Fowler Fine Arts Night. Maynard Public Schools will be closed tomorrow, Monday, March fourth. 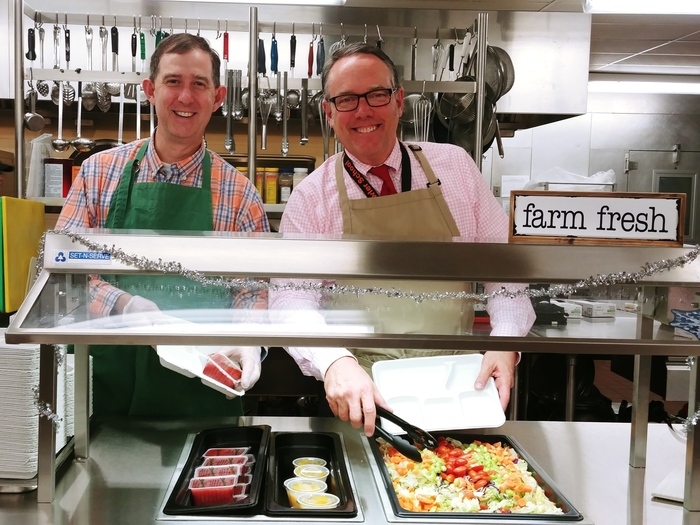 Fowler Principals, Mr. Barth and Mr. Costello, serving up lunch to students today. Happy Valentines Day! Due to the weather forcast for Tuesday, February twelth, all Maynard Public Schools will follow an early release schedule and all after school activities will be cancelled tomorrow. At the request of staff and due to the relocation concerns, the Kindergarten and Preschool will be cancelled for the week of February eleventh through February fifteenth. There is more information being sent in an email to Green Meadow parents, on the website, and on faceBook. Preschool will be cancelled for the remainder of this week, Tuesday, Wednesday and Thursday. Due to the unique needs of program the preschool team recommended the closure to make sure the relocation went smoothly. All other grades and all staff will report to school as usual. This message is for preschool parents. Preschool will be cancelled tomorrow, February 4, 2019. School is in session for all other students and all staff. 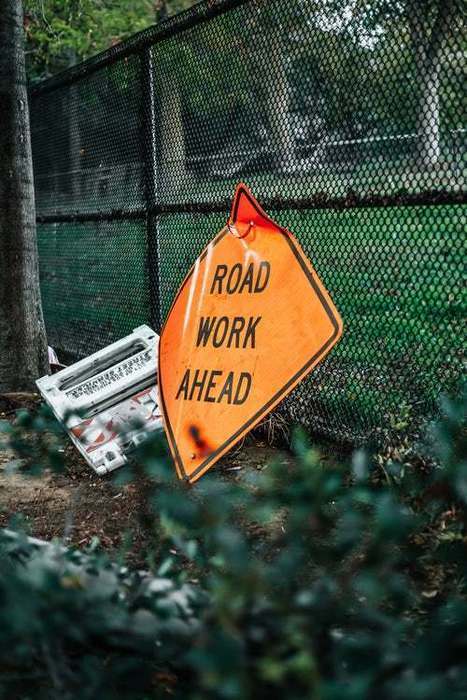 The roadwork on Powdermill Road, which has already affected bus routes, will be progressing further down the street around January 14th. The DPW, school, and police departments will be working collaboratively on further changes to bus routes and will provide updates next week. There is a fire on Summer Street this morning. The MPS transportation company is doing there best to re-route busses but they may be running late. Thank you to the members of the community who made us aware of the concern regarding the video of our recent SC meeting. We have been informed that the issue has now been corrected. So excited to have multiple members of the School Committee at MASS/MASC 2018 learning how to serve our students, teachers and community better. Continuous growth, continuous improvement. Thank you to the advisors and members of the MHS National Honor Society for the invitation to your new member induction ceremony tonight. The Maynard community is proud of you and in awe of the amazing things each of you has accomplished. The El Huipil Mexican restaurant is supporting the MHS Spain exchange again by donating 10% of food bills on Monday, October 29 for eat in and take out orders. Please support this amazing experience for MHS students, and enjoy authentic Mexican food at the same time. All community members are invited to join the School Committee and Administration for a discussion of "The Energy Bus" following Thursday's School Committee meeting. Extreme thanks to the Friends of WAVM for hosting tonight's Mother-Son Luau. A great time was had by all! The Maynard School Committee would like to thank the community members who attended tonight's Parent Forum. We greatly appreciate the honesty, passion and thoughtfulness you brought to the conversation. We are committed to improvement and thank you for being part of the process. Enjoy a fabulosa meal from El Huipil restaurant in Maynard on Mondays October 8th & 15th. El Huipil will donate 10% of the food bill to the Maynard-Spain exchange. 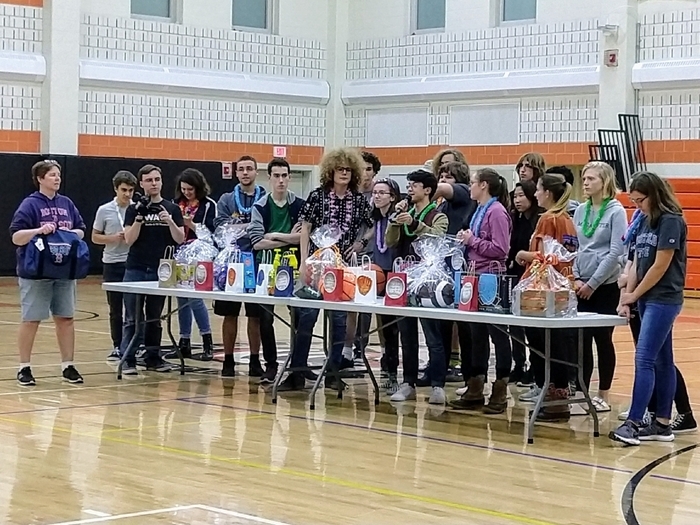 This amazing authentic cultural exchange for Maynard students began last year and we hope it will continue annually for many more Maynard students to benefit from. Even if you can't get to El Huipil for a sit-down meal, proceeds from take out orders will also be donated. 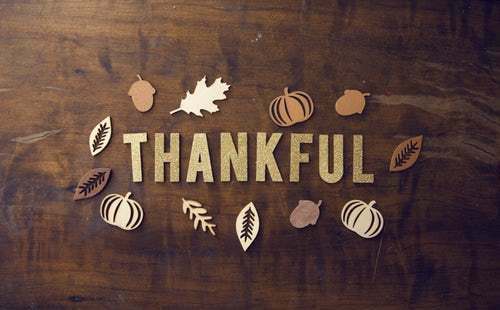 We appreciate El Huipil's generosity and the support of everyone who goes there for great food October 8th & 15th. The Assabet Valley Regional High School has an immediate opening on the School Committee for a representative from Maynard. This position runs through the end of the school year and then will be subject to regular town election. In the meantime, this position will be filled according to Maynard Town Charter bylaw which require a joint appointment by vote by the Board of Selectmen and Maynard School Committee. The vote will take place on October 16th at the Board of Selectmen Meeting. 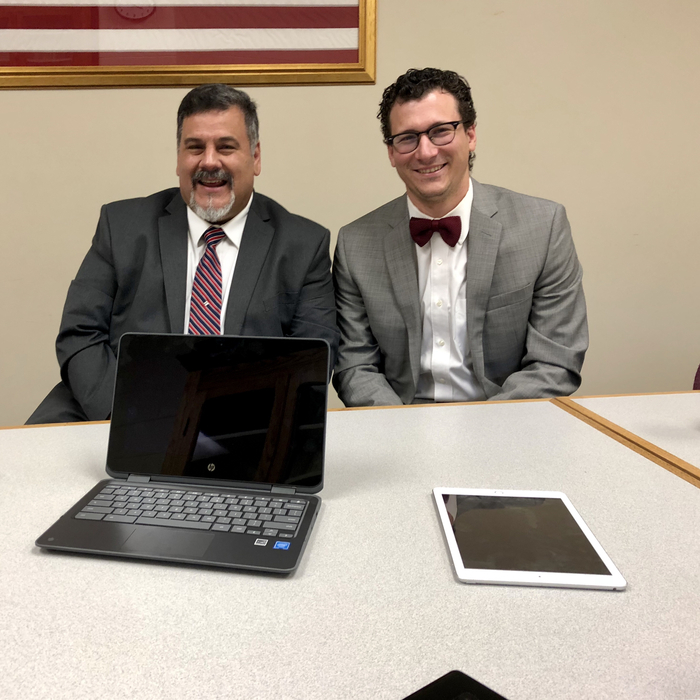 Interested residents should send a letter of interest to both: Justin Hemm, Chair of the School Committee jhemm@maynard.k12.ma.us and Chris DiSilva, Chair of the Board of Selectmen. cdisilva@townofmaynard.net Deadline to submit is Friday, October 12, 2018. A Parent Forum will be hosted by members of the School Committee on Wednesday, Oct 3rd, at 6:30PM in the Fowler Library. This is a follow-up to a similar event held last year and a great way for the School Committee to hear from parents in a more informal setting. The Maynard SEPAC invites you to our Parent Social! Is your child on an IEP or a 504? Do you have questions about whether your child should be getting services from the school? Come to the social for a chance to meet and talk with other parents and members of SEPAC (the Special Education Parents Advisory Council). We are gathering on Tuesday, October 2 at the Fowler School Library at 7:00 p.m. Ask questions, learn more, and meet other awesome families! Please RSVP to Karen Heath at sepacoutreach@maynard.k12.ma.us or at 978-394-6183. Free and open to the public. A Parent Forum will be hosted by members of the School Committee on Wednesday, Oct 3rd, at 6:30PM in the Fowler Library. This is a follow-up to a similar event held last year and a great way for the School Committee to hear from parents in a more informal setting. Parents will have the opportunity to engage school committee members with thoughts, concerns and questions. All are welcome. We hope you can join us! There will be a Technology Information coffee for parents on Thursday, September 13th, from 3:00 PM - 4:00 PM. We will be meeting in the Central Office conference room at Fowler School. Had a great Technology Information Coffee with parents his morning. Talked about 1:1 program, computer science curriculum, and general educational technology. Great to have parents with so much interest, questions, and insight about Maynard Public Schools. There will be a Parent Forum hosted by members of the Maynard School Committee on Wednesday, October 3rd, at 6:30PM in the Fowler School Library. This Forum is a follow-up to a similar event held last year which was well attended and a great way for the School Committee to hear from parents in a more informal setting. Parents and Caregivers will have the opportunity to engage school committee members with thoughts, concerns and questions. All are welcome. We hope you can join us! There will be a Technology Information coffee for parents on Wednesday, September 12th, from 7:00 AM - 8:00 AM. We will be meeting in the Central Office conference room at Fowler School. Bus registration for the 2018/2019 school year begins on May 7. Registration will take place at the administrative offices located at Fowler School from 7:00 a.m. to 5:00 p.m. Forms and waiver forms will be available to download on our website and all school offices starting on May 4, 2018. No forms will be accepted before May 7. $270.00 for the 1st student and $220 for each student thereafter. Note: if you have a student entering 7th grade at a distance of 2 miles or more, you must now pay the fee. Any questions, please call Colleen Moore at 978-897-2222. Welcome to our new website! Don't forget to head over to the iOS/Play store and download our new app, too! Here is our new logo! It's a beautiful day at Maynard Public Schools! © Maynard Public Schools 2019.